Jamie Fingal signing on. This week I actually cleaned out my Sketchbook shelf that was literally spilling over. It was time to see what was there and reorganize. This is my shelf of sketchbook that have substance in them. 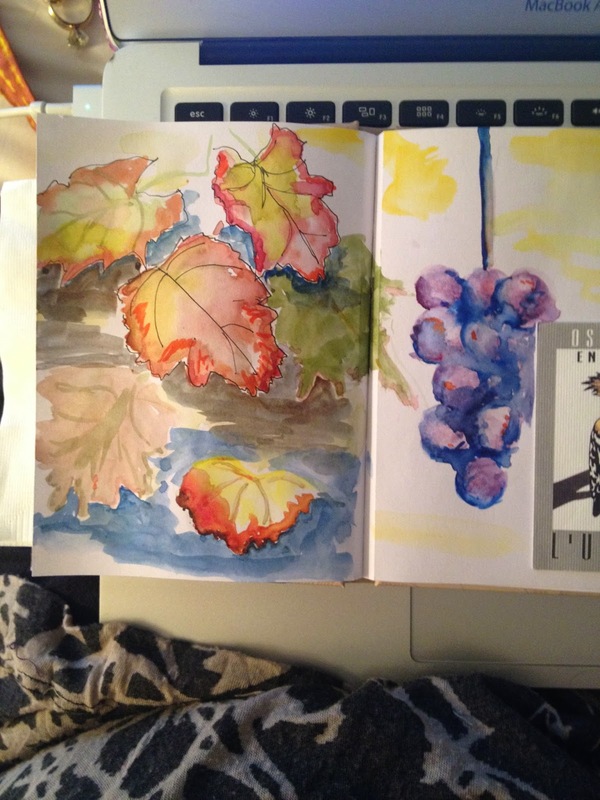 I admit it, I am a sketchbook hoarder, but my addicction was caught in time, and now mostly draw in a small Moleskin Journal, like the ones on the right. 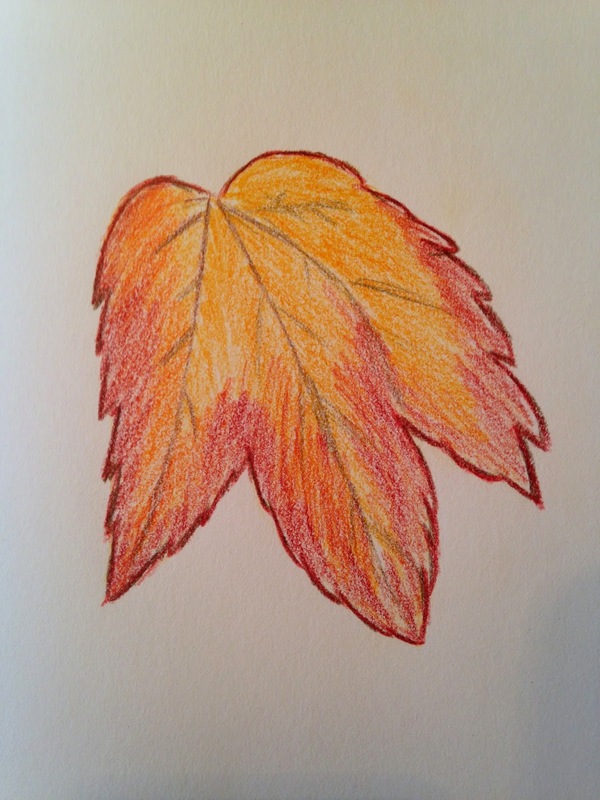 I found some treasured thoughts and drawings, that would be good for this months theme of leaves. Shoe art. Not a sketchbook in a literal sense, but a sketch or doodle on a pair of high heels. 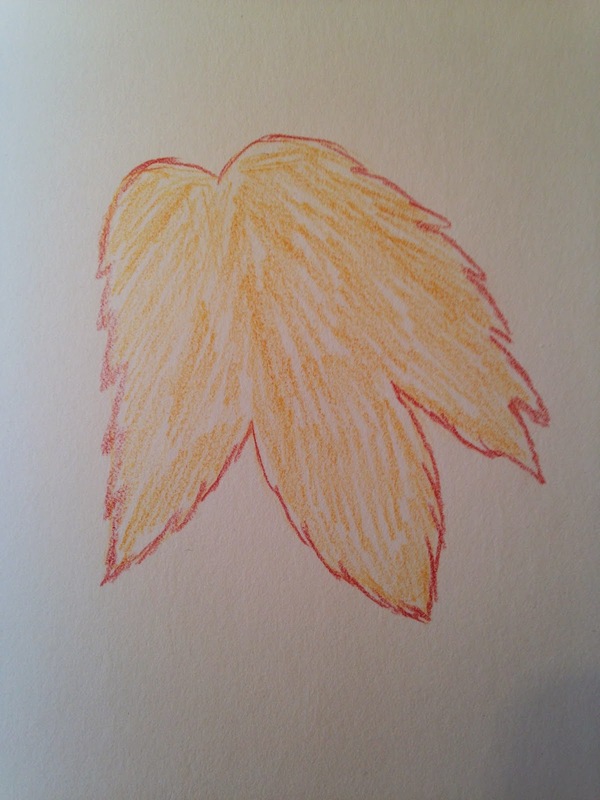 and from 2011, when the Sketchbook Challenge started, some leaves from the theme of one of those months, with leaves and other fun stuff. 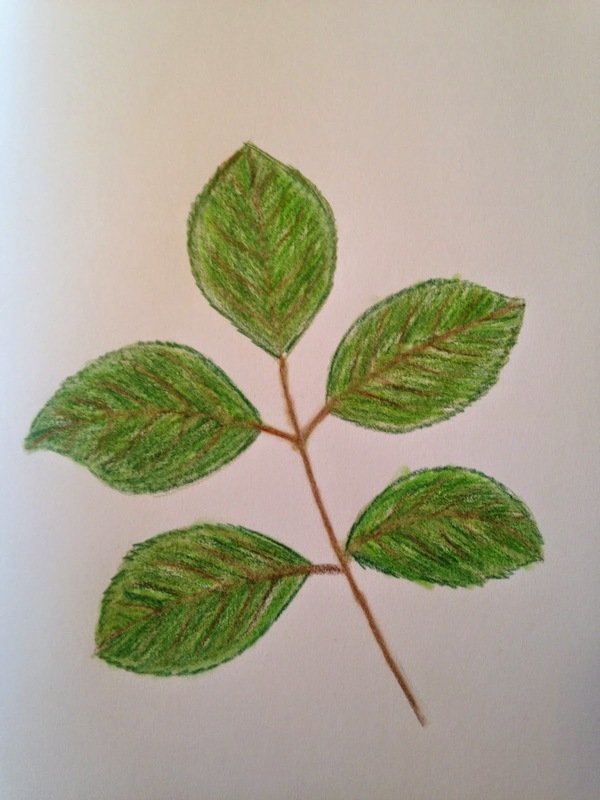 Jackie here with more from my leaf sketchbook, we have a lot of these dotty leaves around at the moment, I really like the black spots although they are probably some sign of disease in the tree. 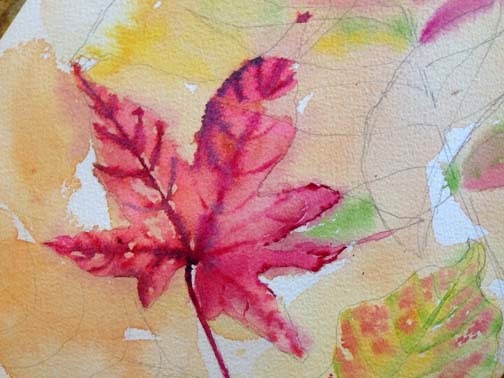 Lots of inspiration from the lovely colours of autumn leaves as you can see from the previous posts and ways to use them in your sketchbooks. I took a photograph and then used the background colours and the leaf shape made into a ‘brush’ on the computer. I also used the ‘Glaze’ app on the ipad to work on the basic images and these were then printed out to make a concertina fold out in my sketchbook. Earlier in the summer I placed fine muslin over fern leaves and rolled over them with black fabric paint. 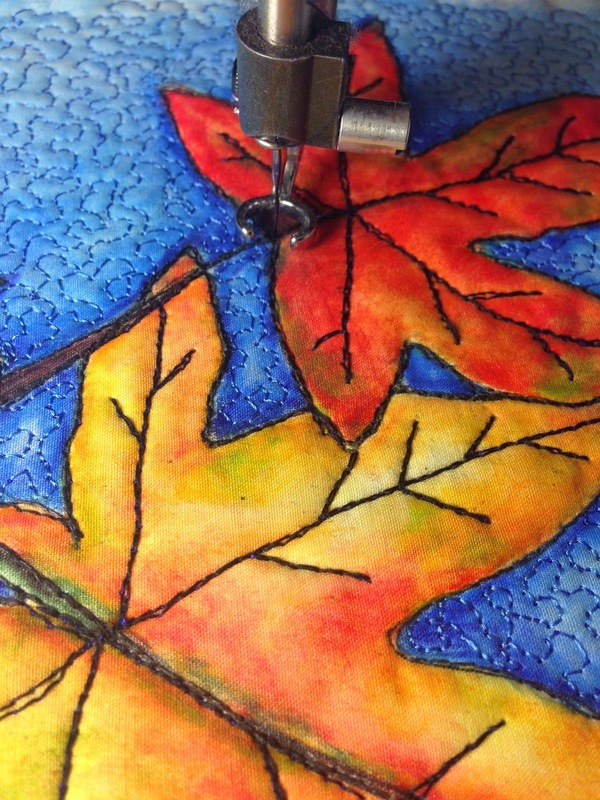 The leaves were then cut out and machined onto a background which I had patterned in a similar way by rolling paint over various textured surfaces. So make the most of the leaves all around. 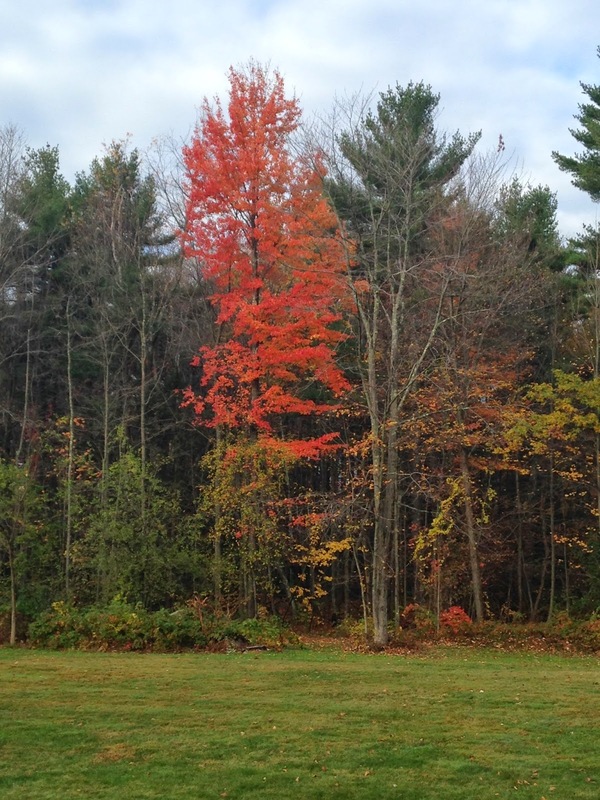 One of my favorite things about living in New England is watching the leaves turn from shades of green to shades of yellow, orange and red. We had a really bright vivid leaf changing season this year with really vibrant color on the trees. 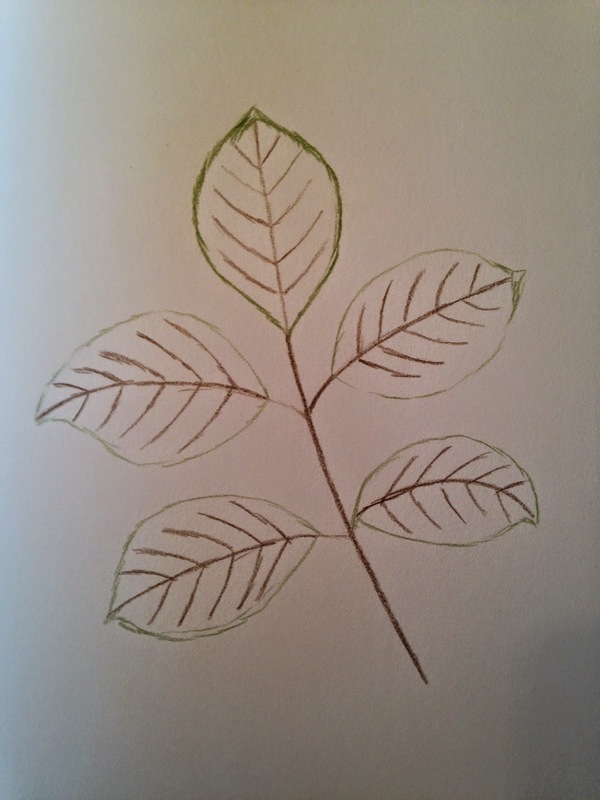 I like to draw leaves because their uneven shapes and rough edges mean that no matter how you draw them they look like a leaf. 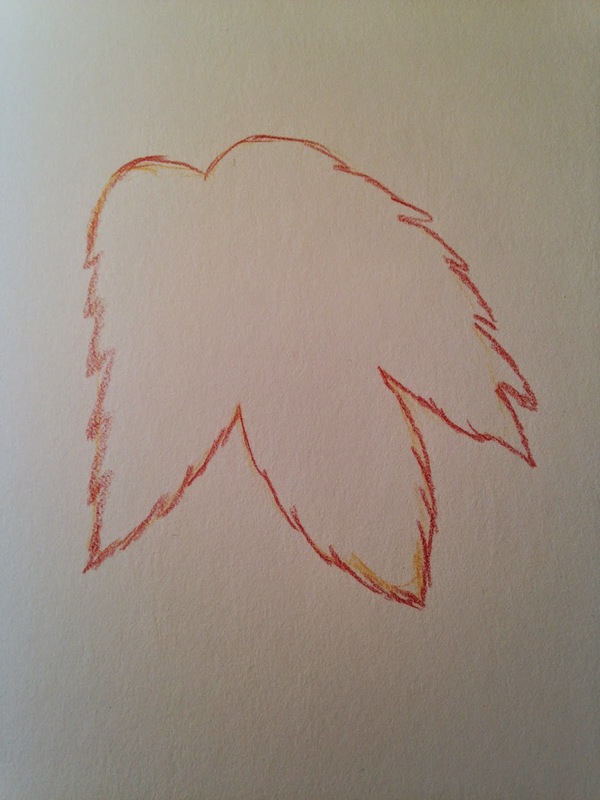 Whenever I sit down with my colored pencils it reminds me of being a kid again and sitting down with a big box of crayons and a stack of construction paper. 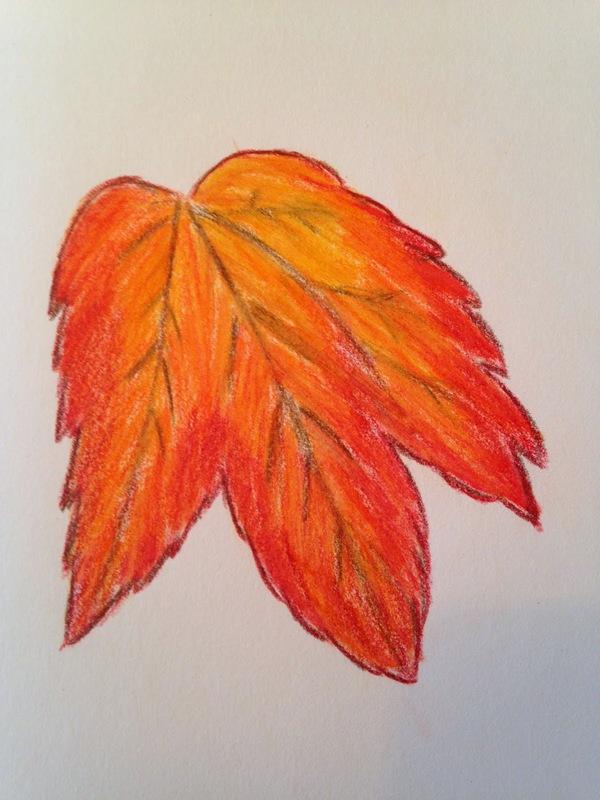 Go ahead and break out your colored pencils (or crayons) and draw some leaves! Hi Everyone, Desiree Here!! I love this months theme, thank you Leslie! This is also one of my favorite times of the year, FALL! The warm colors, the changing leaves, crisp night air all come together to remind us that the holidays are close at hand. Although I live in southern California, I planted trees that are known to color up in our area. 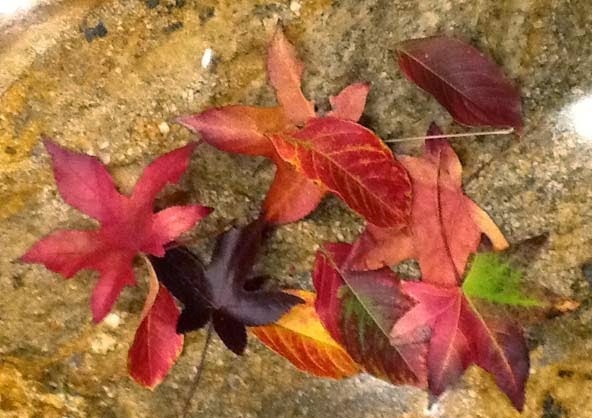 Here are some of the leaves I have collected during Fall. We get just enough of a cold snap to encourage the leaves to perform their magic. During this short magical time I take every opportunity to capture their transformation from green to their wonderful shades of Fall. 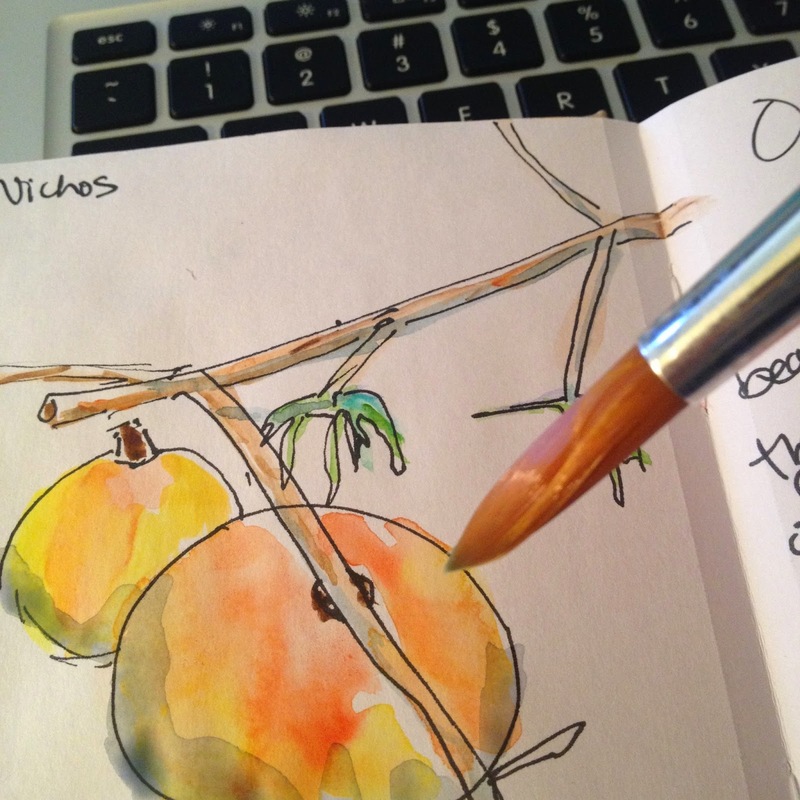 I sketch them and let the paint dance across the paper, running with color and water across the surface, trying to capture this blast of color that is so fleeting. 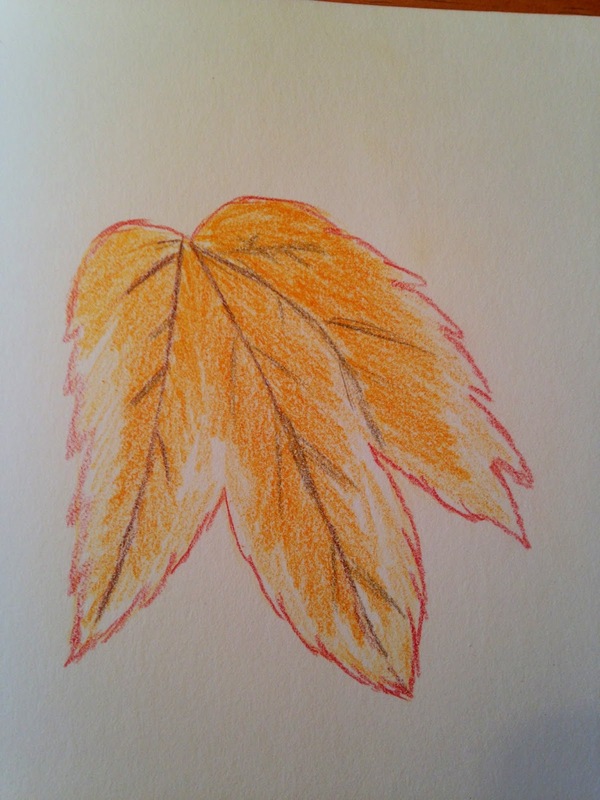 No two leaves are alike, much like us! Each uniquely different and yet beautiful! 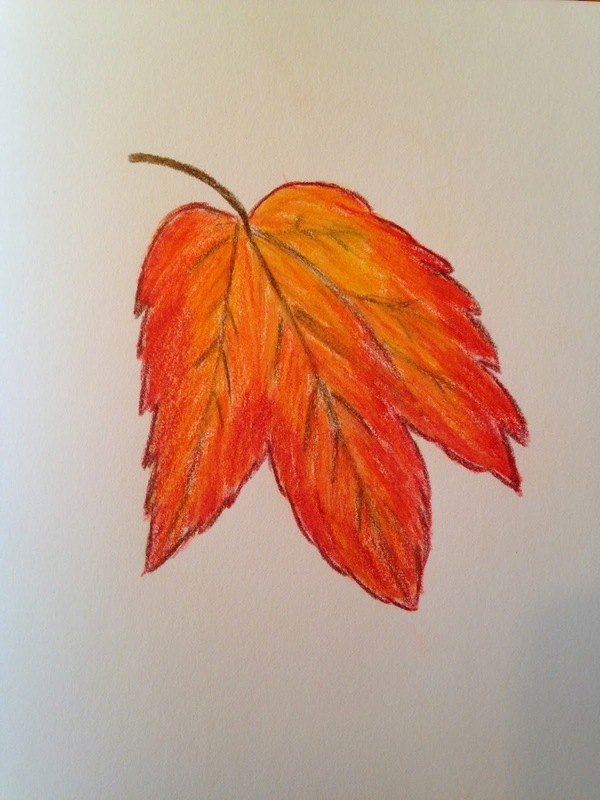 A page in my sketchbook from a windy fall day. 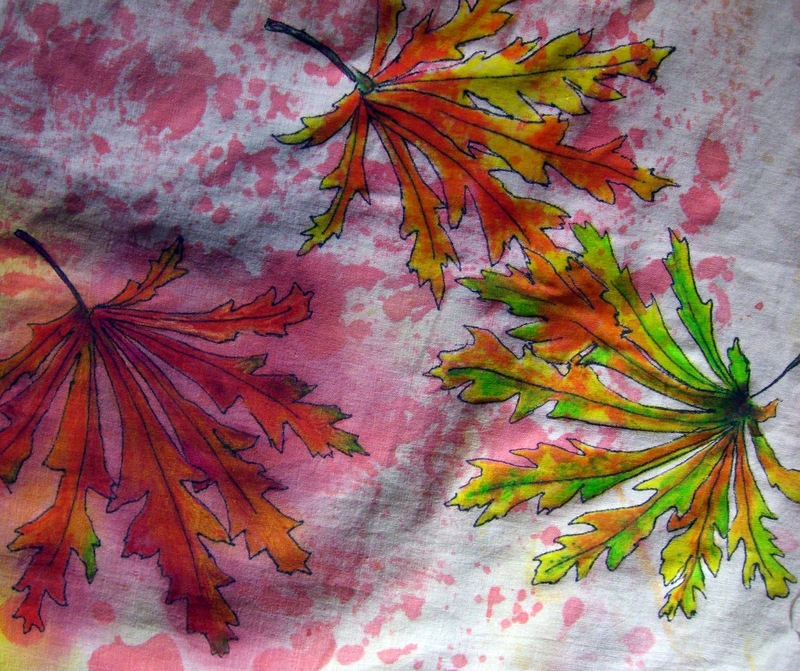 I remember driving down the street and seeing the leaves dancing across the street in a wild show of color. I thought up this poem as I watched them dance across the road in front of my car. Keeping a sketchbook is like freezing a moment in time and recording it, I remember everything about that day because of my sketchbook page. 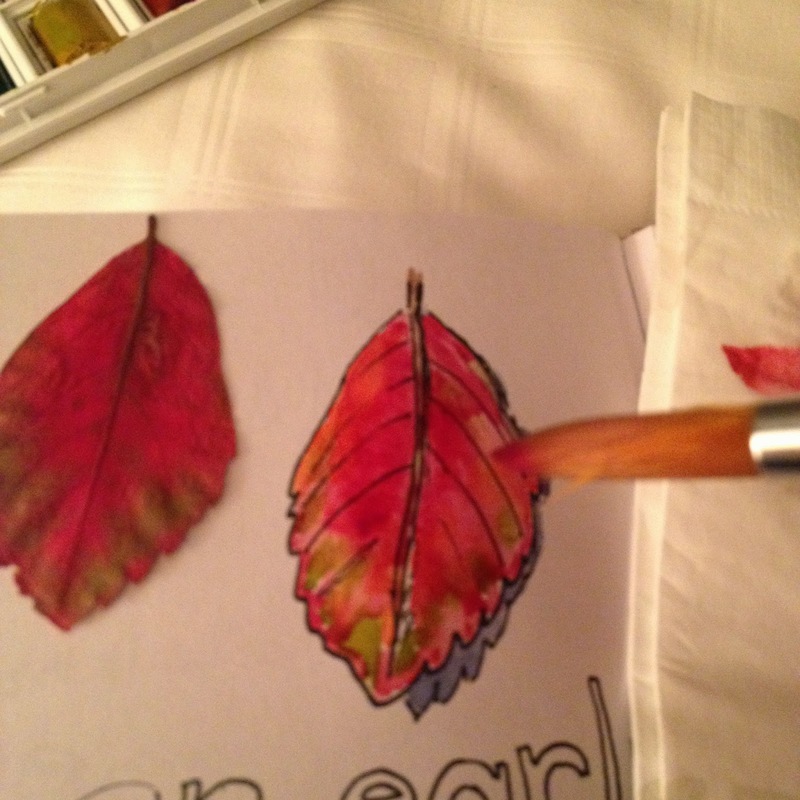 I can't wait to see what wonderful leaves you will paint this Fall! Jamie Fingal, checking in. Love this theme. 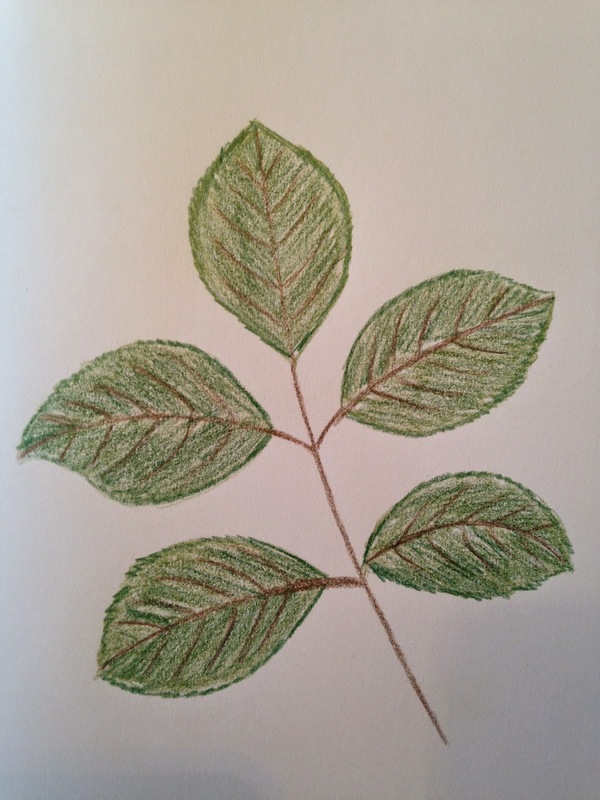 One of my favorite things to draw in my sketchbook are leaves. Fun and whimsical. 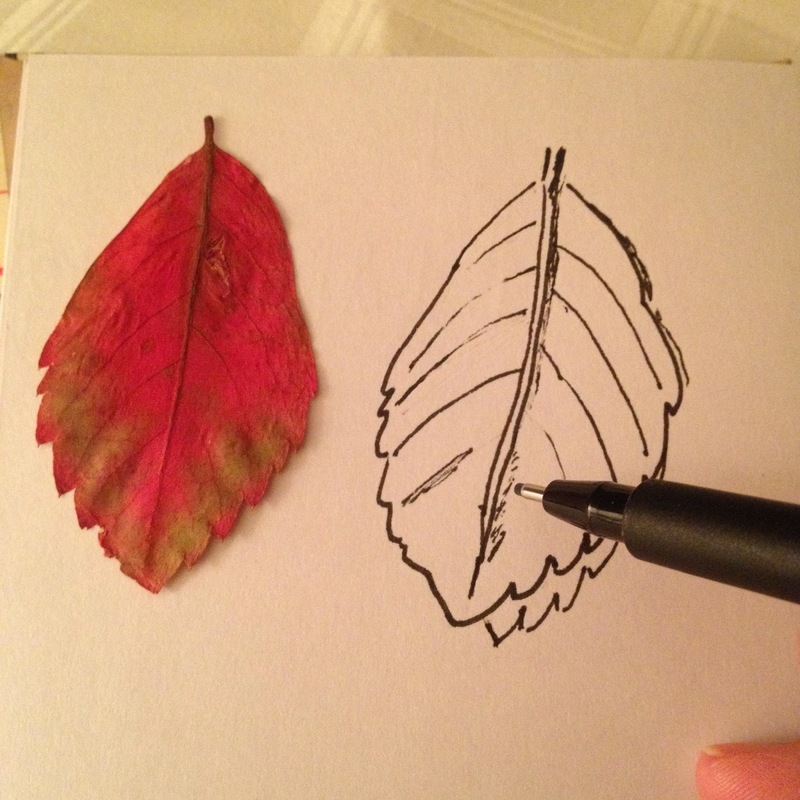 Being a constant doodler has led me down this path to create these leaves. Simple leaves on a vine. This is a stencil design that I created for StencilGirl Products for their June Stencil Club. It was fun to embroider the design on linen. 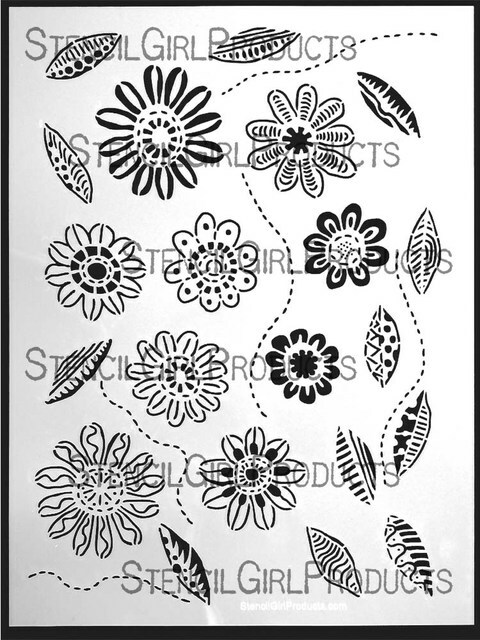 Flowers and Leaves stencil by StencilGirl Products, my design! 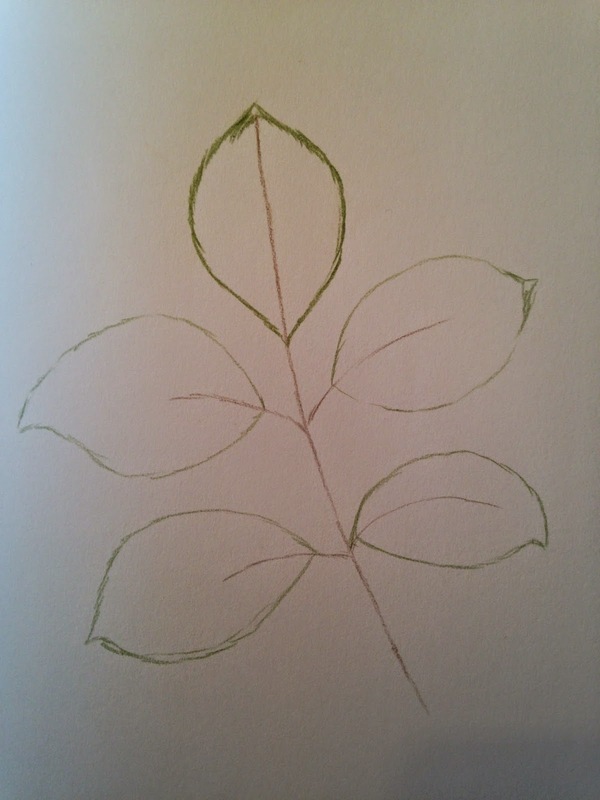 More leaves and flowers from an early sketchbook. I hope I have inspired you! Leslie here. I grew up in the midwest where fall means gorgeous, glowing leaf color. I find that I miss all the splendor of fall with its colored leaves in my San Antonio location. This year I was able to get a "dose" of fall beauty in two places: Tuscany and Ohio. I traveled to Italy in late September/early October and was just in time to see the grape leaves begin to turn brilliant red to bright yellow on the vines. Maple leaves seemed to glow along the Ohio highways. 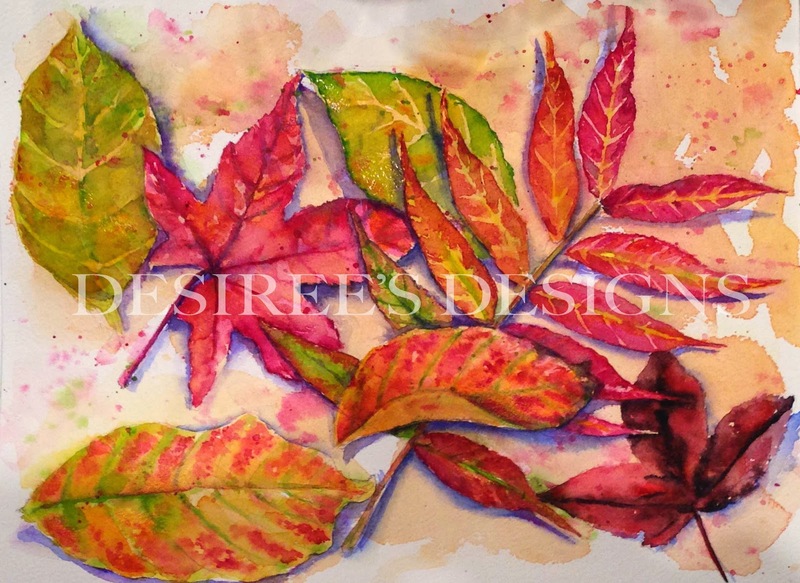 Do you love fall colored leaves? What are your favorites? Please join me this month as we embrace this wonderful palette. I am looking forward to seeing your work! 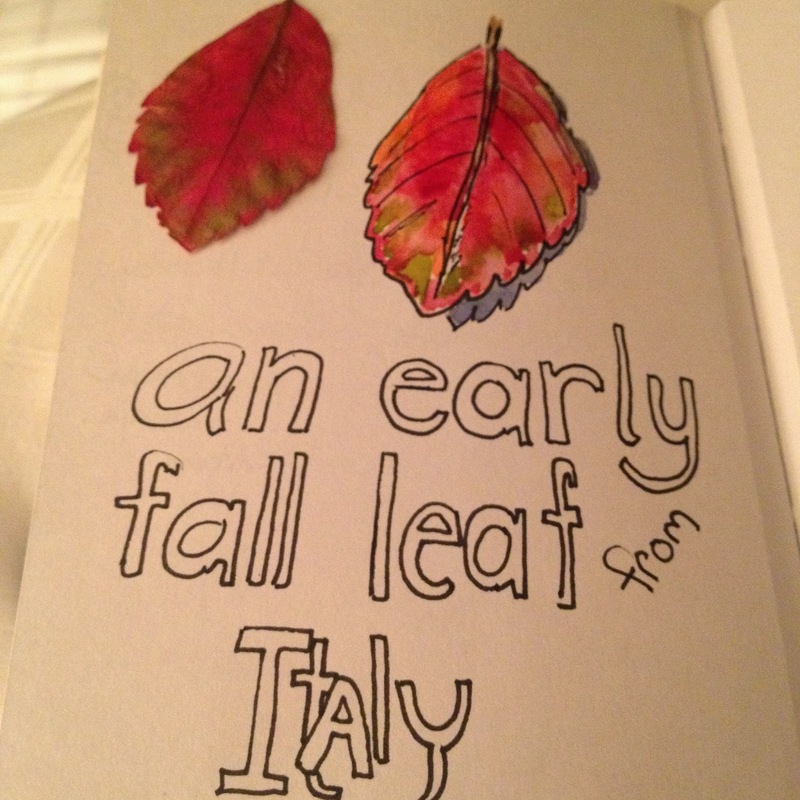 here is a leaf I picked up and tucked into my sketchbook near Lucca, in Tuscany. 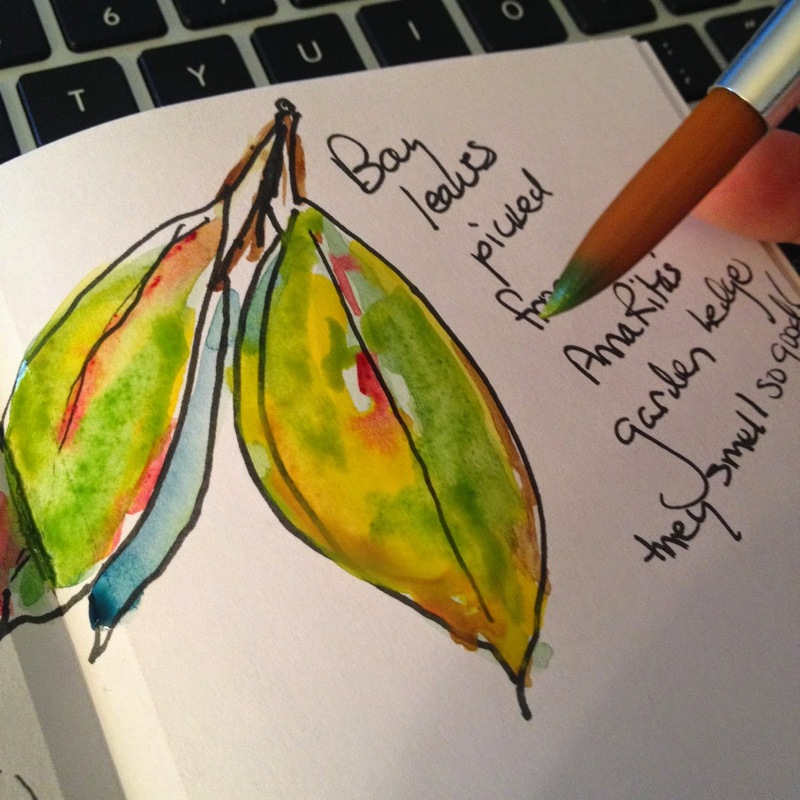 I was taken with the unusual tint of the pomegranate fruit (and surprised that the leaves were so small! property of one of the vineyards we visited. 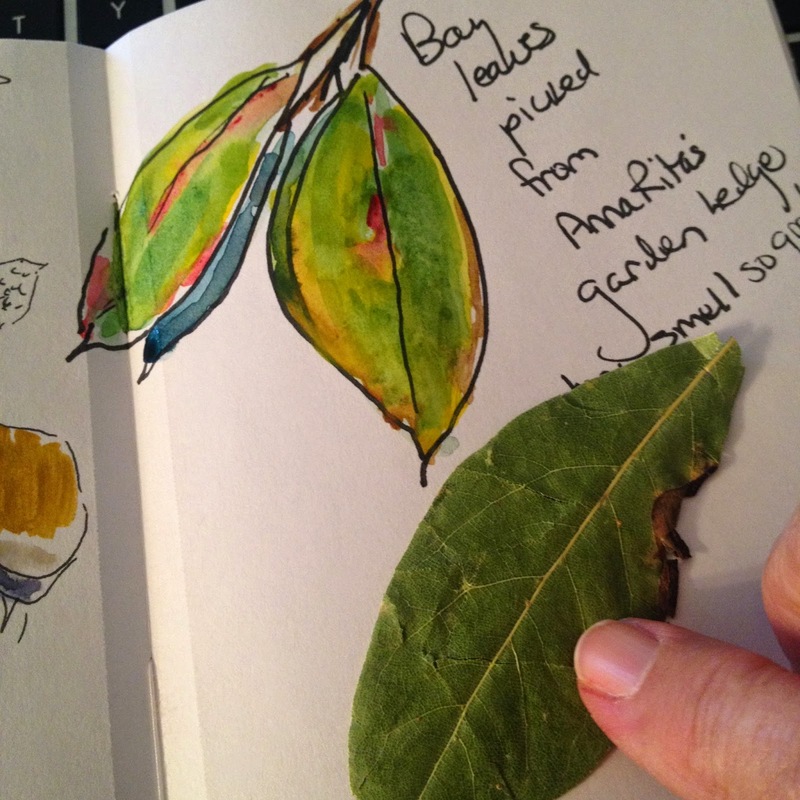 I tucked a bay leaf in my sketchbook, too! 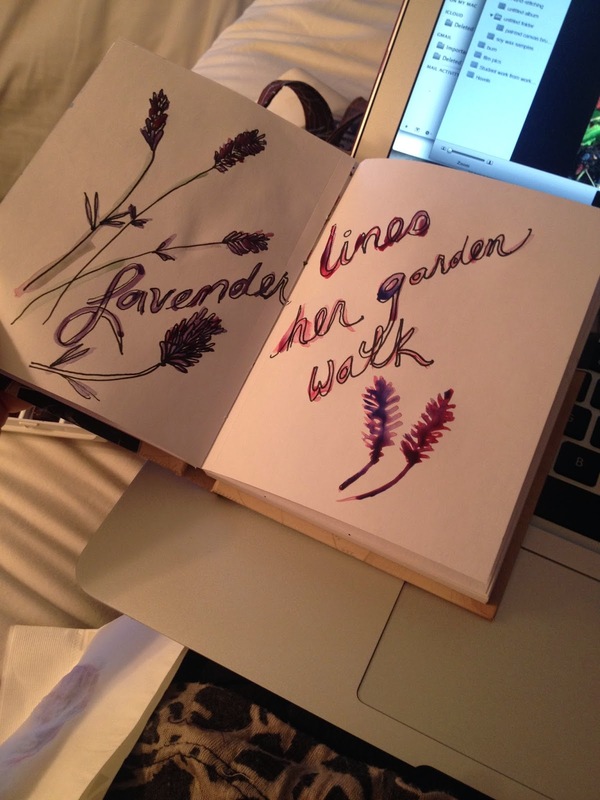 aroma of this as I opened the sketchbook! 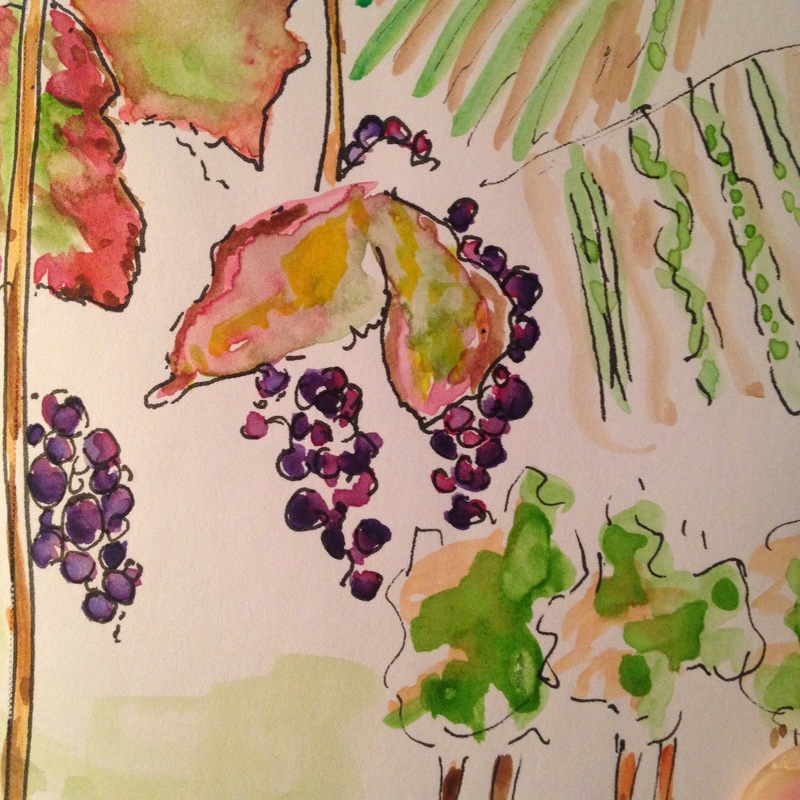 Another small watercolor painting of the beautiful grape leaves and grapes of Italy. 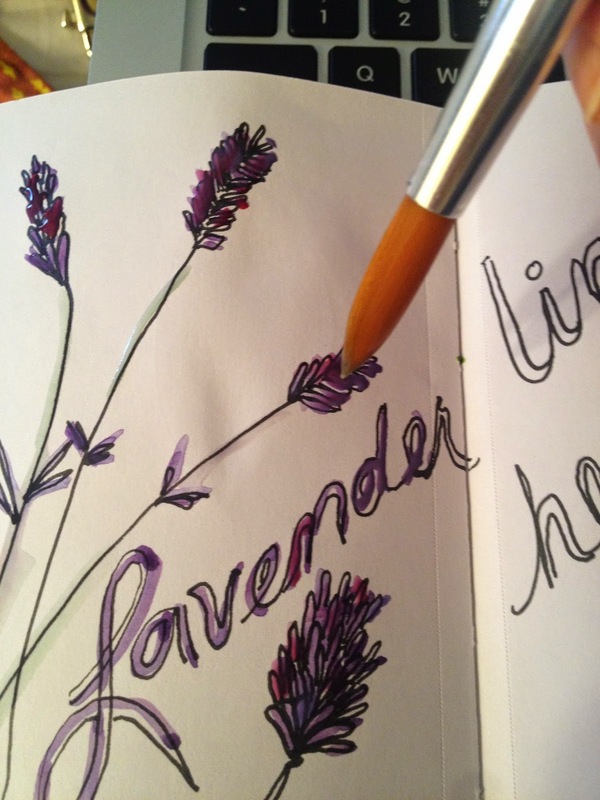 Please share your images from this months theme in The Sketchbook Challenge Flickr Group, and don't forget to tag it with the code nov852 so it can be included in the end of month slide slow on this blog.